You’re wearing bright red puffy down vest and knock-off Ray-Ban sunglasses. 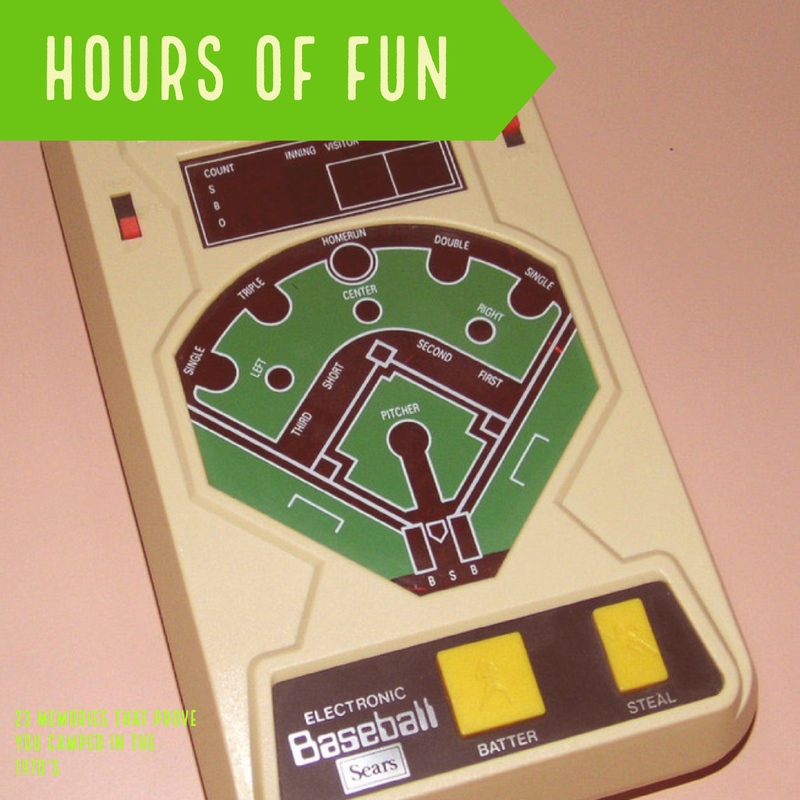 Your nose is buried in that two-button electronic handheld baseball game powered by two D batteries. 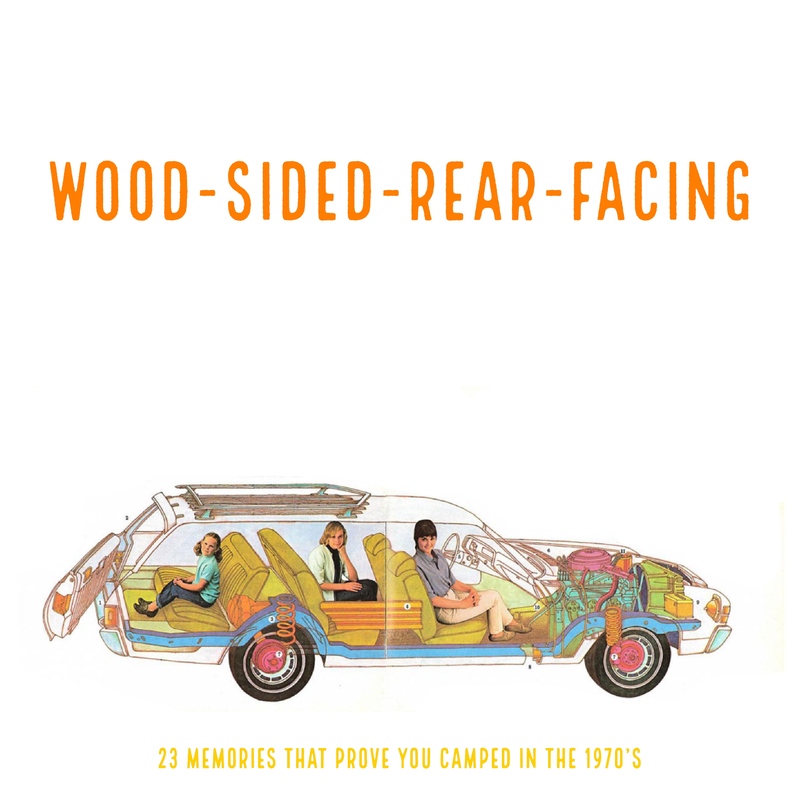 You, your sister, and little brother with the John Denver haircut are riding facing backward at the rear of an enormous Chrysler Town & Country station wagon with wood-look side panels. The radio reports Bruce Jenner winning gold in the decathlon at the Olympics in Montreal. 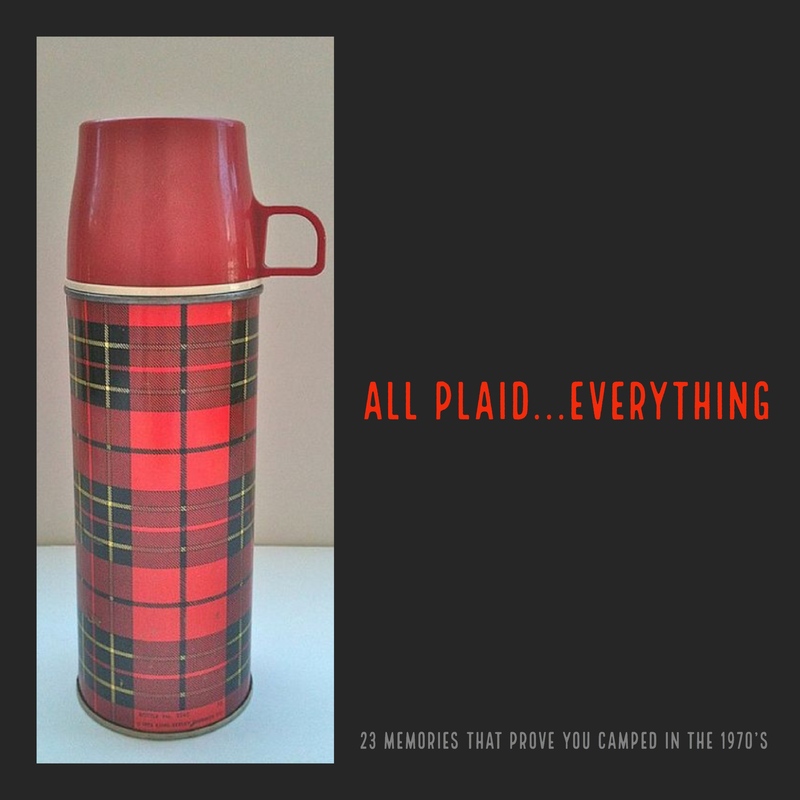 Your mom, riding in the passenger seat, told your dad it was time to stop for lunch soon and poured him some coffee into the tan cup off the top of that beat up plaid vacuum bottle. 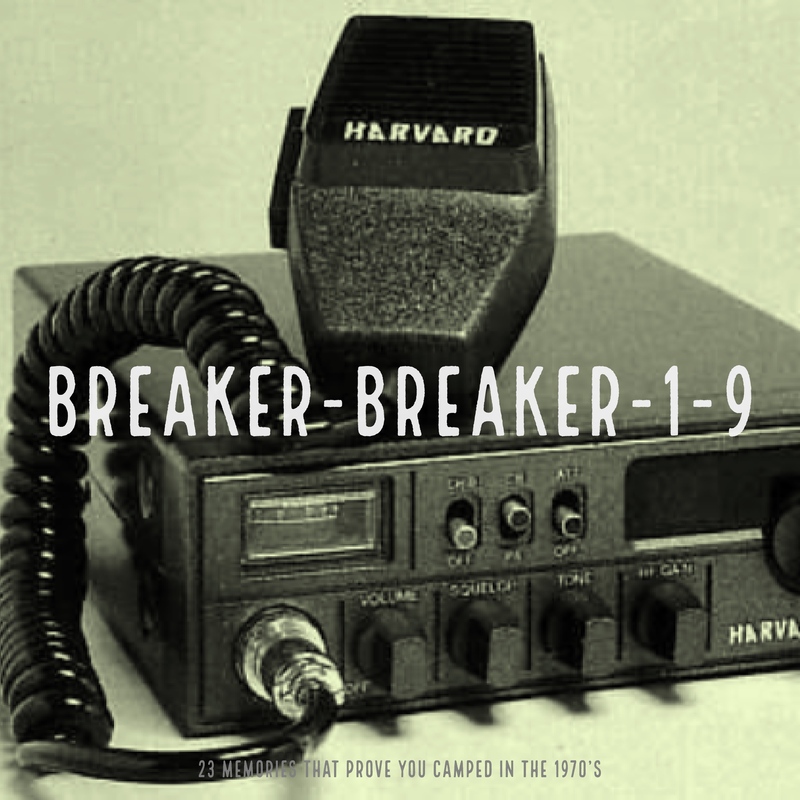 Before taking it, dad grabbed the mic on the CB radio and made a call to an oncoming trucker to find out how far to the next wayside and if there were any smokies hiding along the way! Okay, where are you and when? Need more clues? 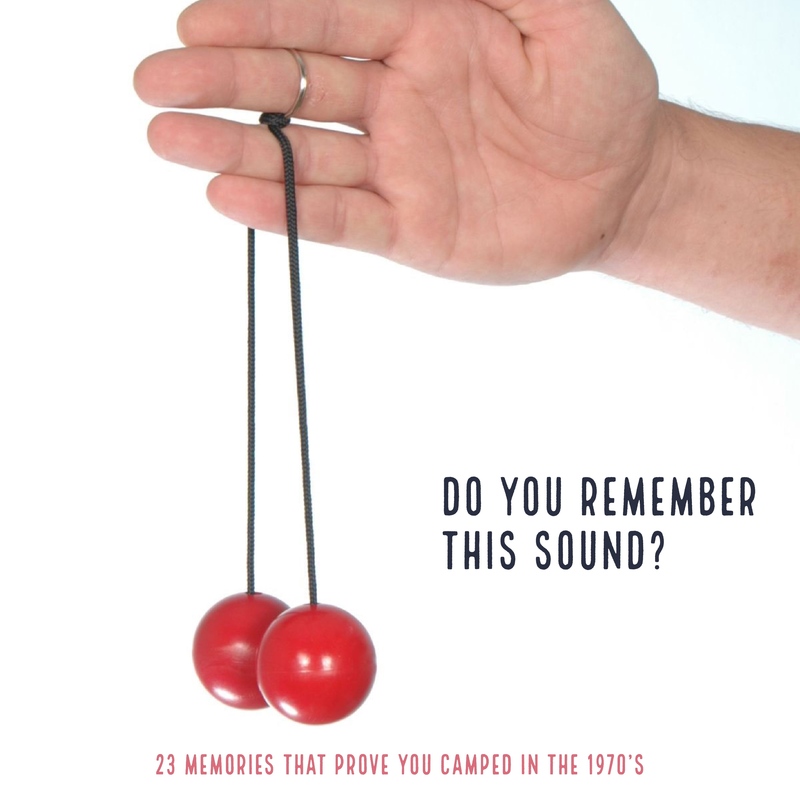 How many of these strike a memory .. good or bad? No rechargeable lithium ion batteries or LEDs. 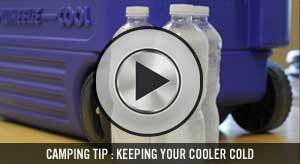 No screw it on and turn the valve 1-pound propane tanks. 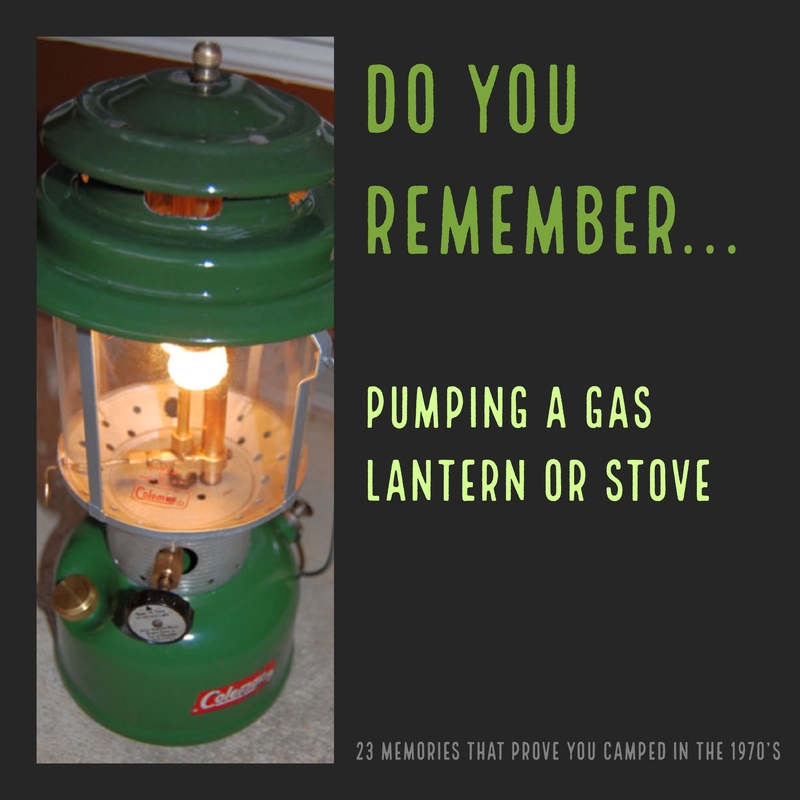 Back then, you had to WORK for your campsite light. Pump that Coleman lantern. Pump that camp stove. Were you supposed to hold your thumb over the air hole or not? Do you remember? At the crowded campground it was time to break out a lawn game. What better than Jarts? Space the plastic hoops about 20 yards apart, stand back, and let them fly. Large, metal, pointed, half-pound darts that just begged to be thrown as high as possible into the air by the youngest players. What could possibly go wrong? 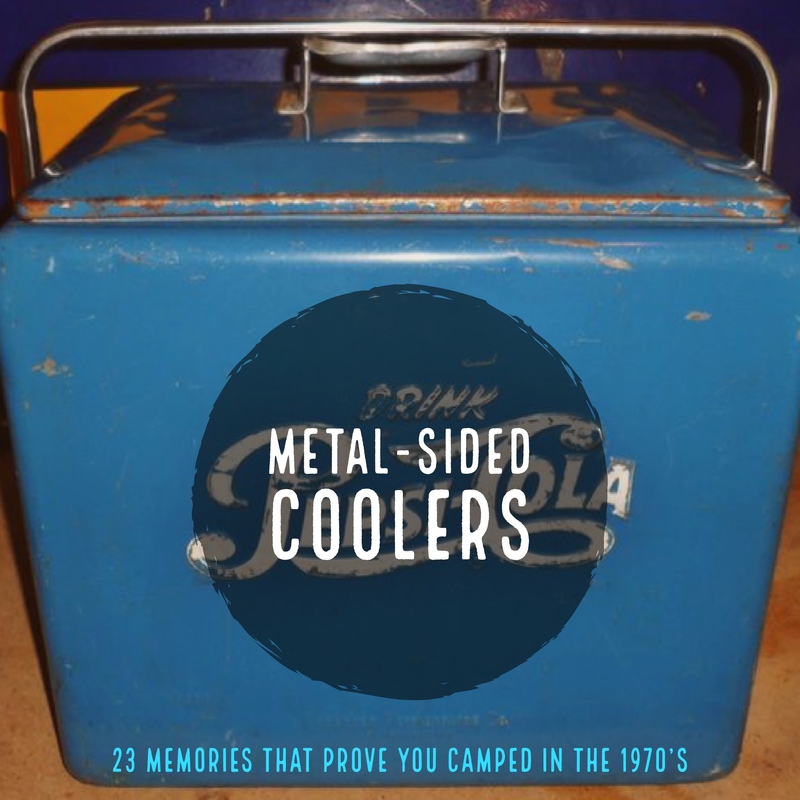 You reached in pulled out an 8-ounce bottle of Coca-Cola and used the church key to pop off the cap. That real sugar cola hit the back of your throat for lukewarm refreshment. The fried chicken, bananas, and dreamsicles stored in it all had the same temperature, and were flooded with the melted ice water in the bottom. Mmmmm! Mmmmm! That was eatin’ and drinkin’. 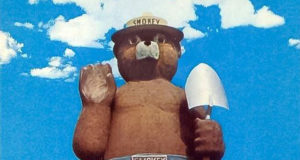 At the 1962 World’s Fair, Union 76 service stations launched their new station sign – a bright orange ball with the blue and white number 76 on it. It became so universally recognized that just five years later they launched the first antenna topper as a marketing ploy. 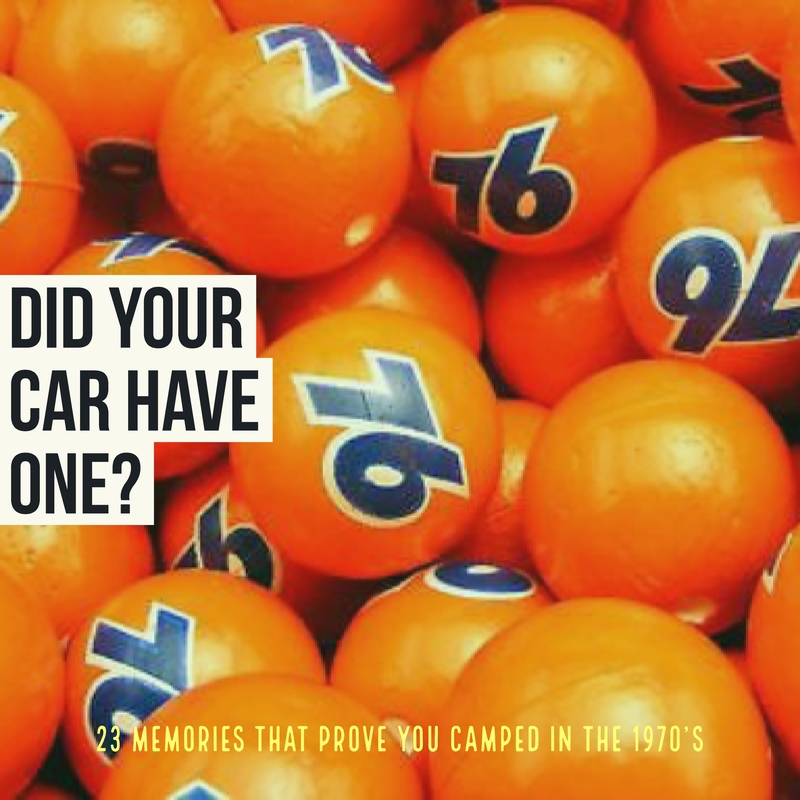 The rest is history, and if you were a 1970s road-tripper, a 76 antenna ball was probably part of your history. 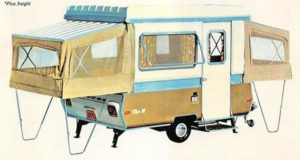 For family campers and roadtrippers, it was the way to travel in the pre-mini-van days of the 1970s. These behemoths were enormous, and featured a rear-facing bench seat into which three pre-teen bodies could easily be wedged – sans seatbelts of course. Probably the cause of more motion-sickness events than the storm season on the North Sea. Historic and scenic sites are clustered in and around the Black Hills of western South Dakota and eastern Wyoming. Mount Rushmore, the Badlands, Devil’s Tower, and more draw millions of campers and roadtrippers each from all points of the compass. No matter from which direction you arrive you are inevitably greeted by billboards advertising free ice water, nickel coffee, and Old West photo-ops at: Wall Drug in Wall, South Dakota, estab. 1931. Nobody took a TV with them camping. There was no such thing as earbuds or Bluetooth speakers … or anything to power them for that matter. 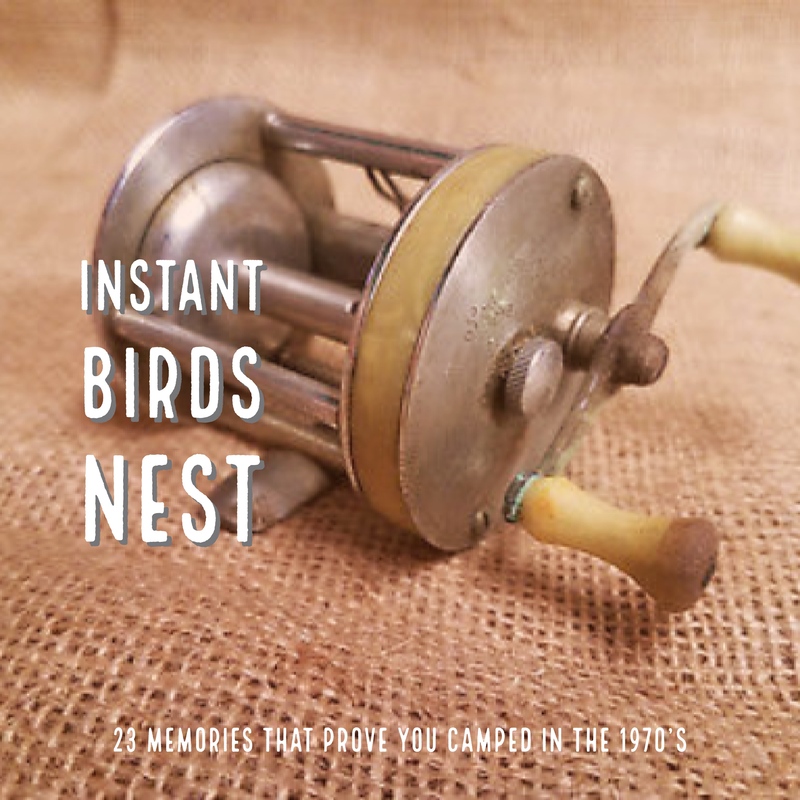 Campsite entertainment required more imagination and do-it-yourself spirit in the 70s. Every campout included the magic of Jiffy Pop – popcorn in its own popper. Just remove the cardboard lid, shake it over the campfire, and wait for the aluminum foil top to expand just like a genie’s turban. Carefully cut it open and voile – popcorn. If you didn’t scorch it and render the whole batch inedible. Oh, well … just try again. Remember getting the top bunk at scout camp? 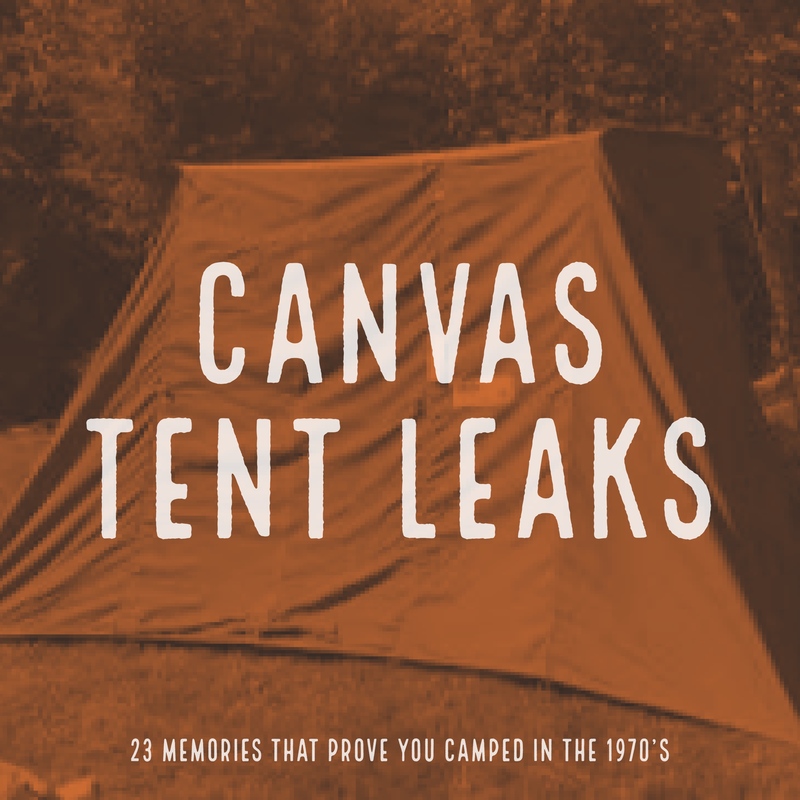 In any breeze, the roof of the canvas wall tent flopped tantalizingly close to your face. You knew that if you reached up and touched it while it was raining or even when it was covered in heavy dew, it would spring a leak right there that would drip on you for hours, maybe even days … but you couldn’t resist, could you? It was a practical lesson in capillary action and a rite of camping passage all rolled into one. So what’s your ultimate roadtripping movie of the 1970s? Might it be Smokey and the Bandit? The truck driver played by Jerry Reed was always in a quilted vest. And with L.L. 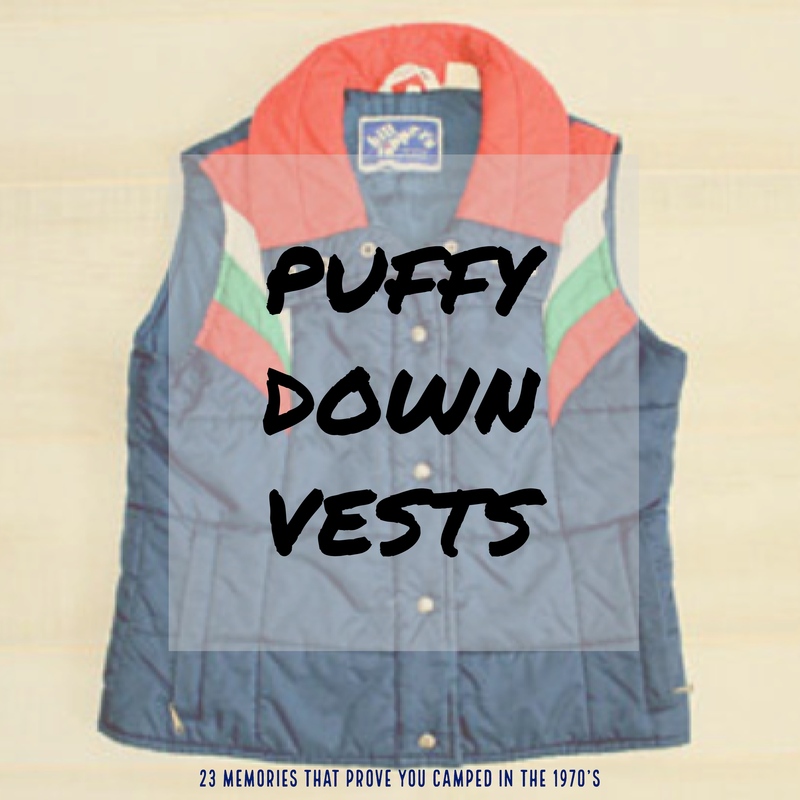 Bean already an icon of the outdoors, the Bean vest was what every “outdoorsman” or “outdoorsperson” needed to at least look the part. Those vests are still in the L.L. Bean catlog today – thank heavens! Pros: Made of aluminum tubing and woven plastic webbing they were light. They folded down pretty flat. They were universally “cheap.” Cons: Hot, sweaty, bare skin against the woven plastic. Constantly tearing out the grommets that held the webs in place. They got wobbly fast and you could never “fix” them. 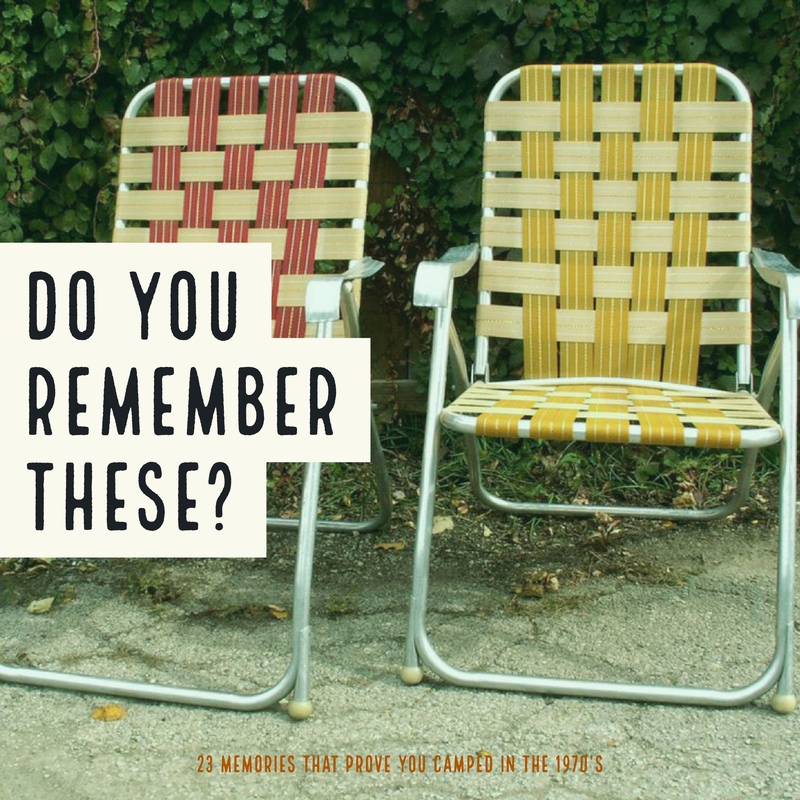 So how do you remember, webbed lawn chairs? 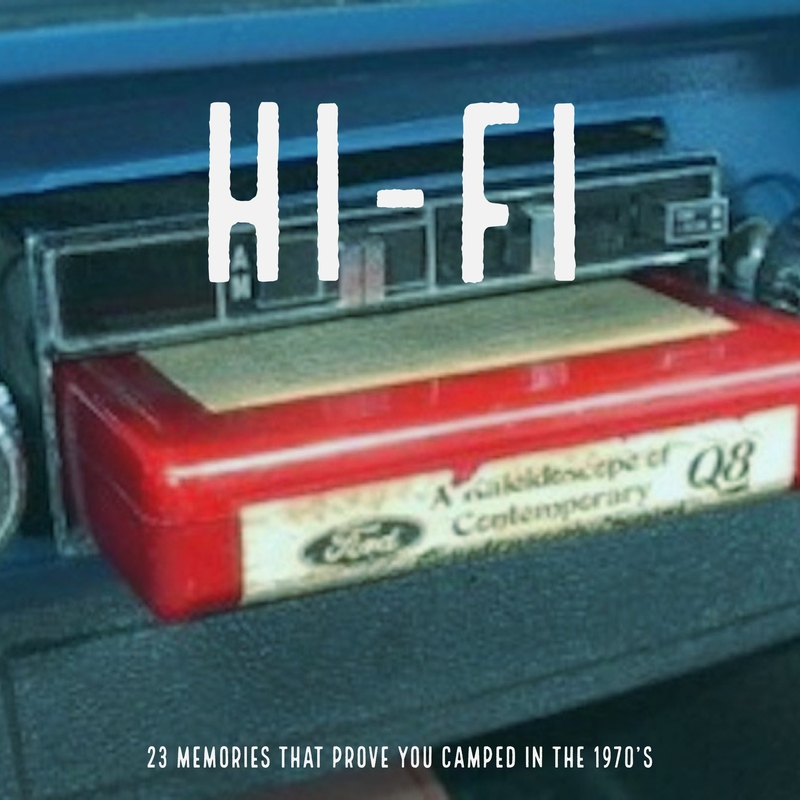 For the roadtripping audiophile of the 1970s, state of the art was 8-Track tapes. Sized similarly to a slice of Wonderbread, you popped a tape into a player that was about the size of a small toaster. Through the “hi-fi” speakers placed strategically throughout the car, the player pumped out the sounds of your favorites – Boston, Head East, Leonard Skynyrd … Barry Manilow(???) – with only the occasional “KER-CHUNK” as the endless loop tape switched tracks. It was the first attempt at adjusting the posture of America’s youth into what we know today as “smart phone neck.” Head down, thumbs a-flying on the game’s buttons, holding our attention for hours and hours of “are we there yet” road trip travel. Are things really that different today? It was, and is, the ultimate camping food. SPAM is meat – specifically pork – in a can. 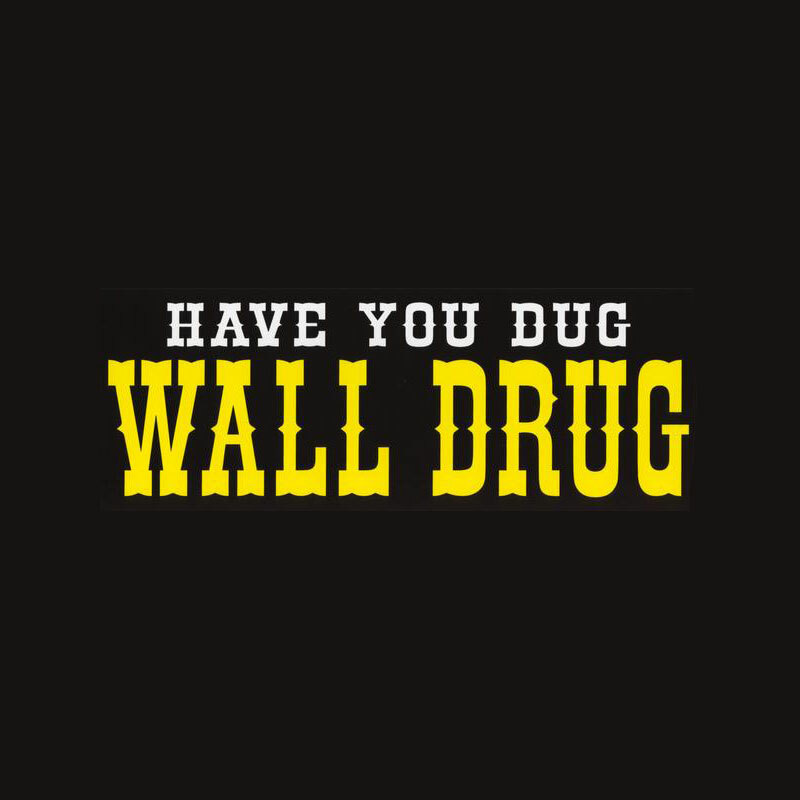 It lasts; it’s rugged; it’s versatile … and despite what you may recall all these years later … it’s darn tasty. Breakfast, lunch, supper in dozens of flavors and varieties – SPAM has you covered. 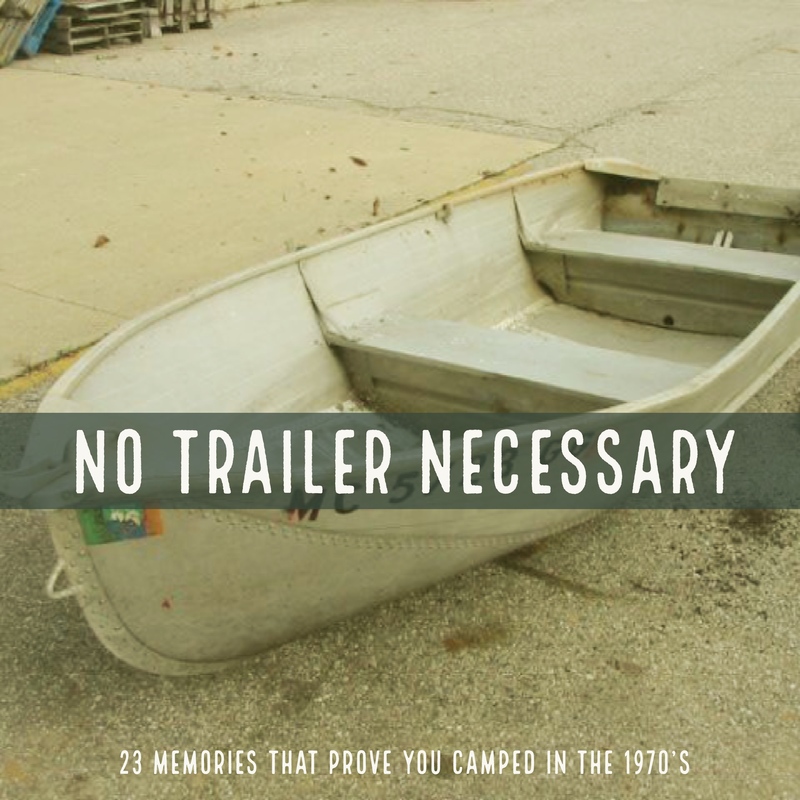 When you’re headed out camping, things can go wrong. Maybe the weather goes bad. 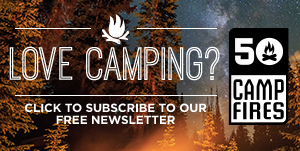 Maybe the campground double-booked your reservation and there’s just no place to stay. 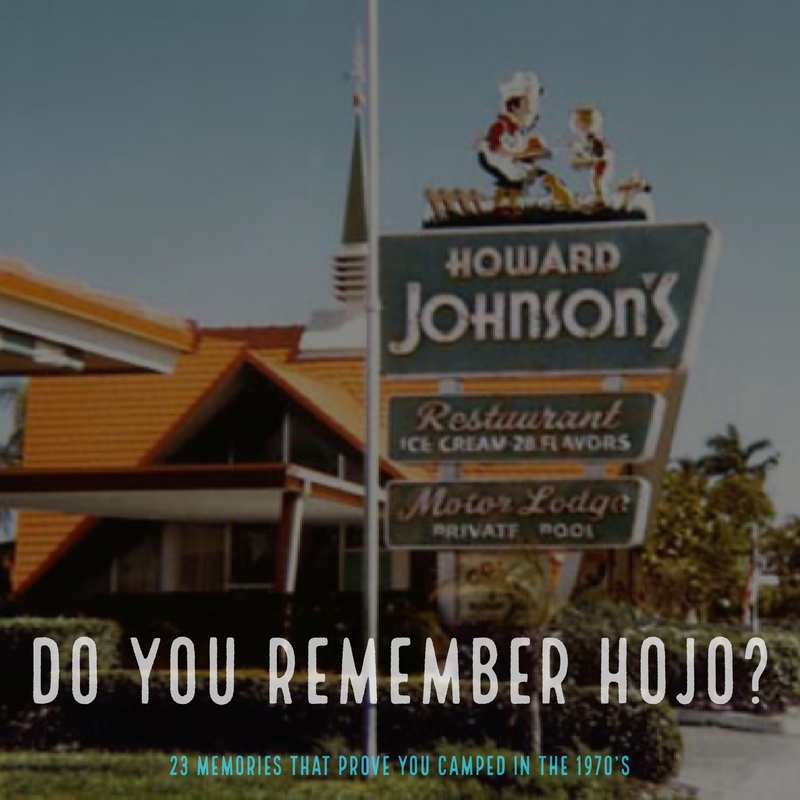 One thing that could brighten the spirits of any disillusioned road tripper, was that orange roof – the ubiquitous symbol of Howard Johnson’s hotels, motels, and restaurants. 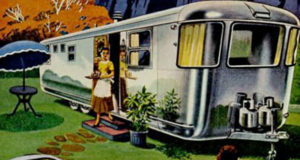 An infinite number of road trip and camping weekends were salvaged thanks to HoJo’s. 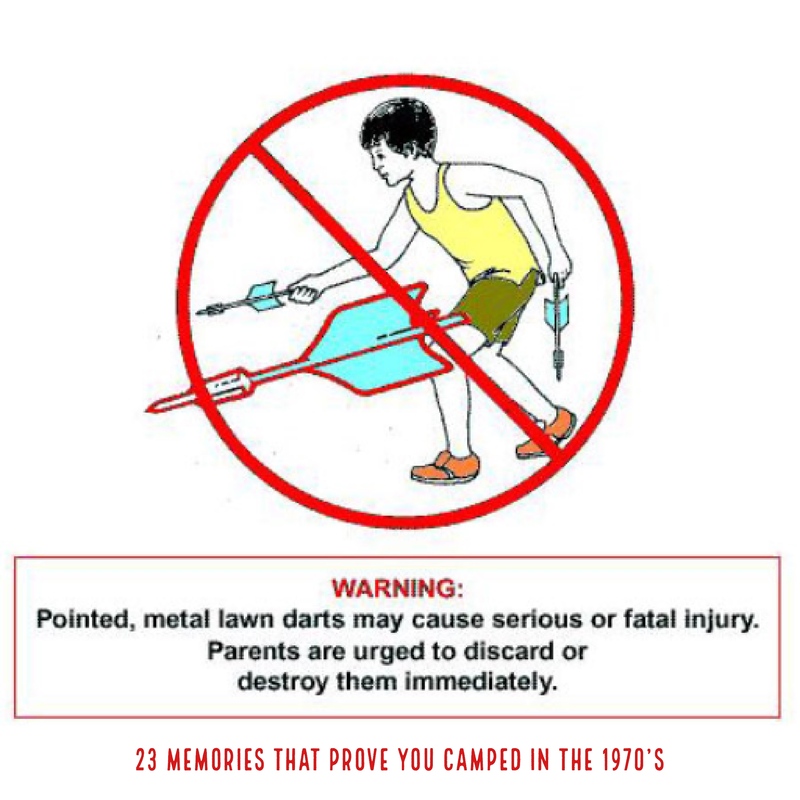 When the lawn darts were used one too many times for unintended purposes, their replacement was often Toss Across. 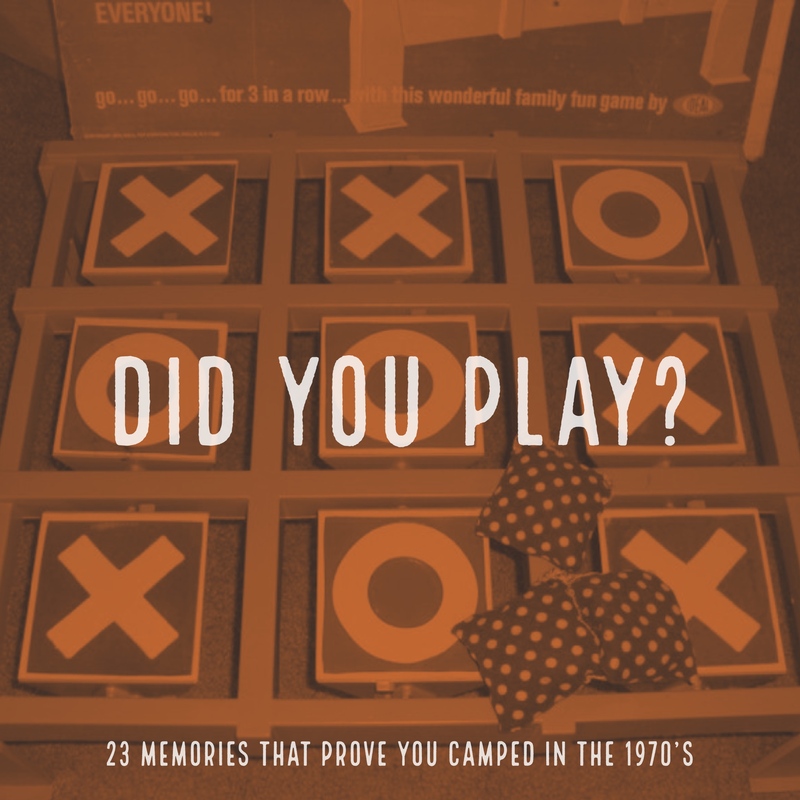 It’s the tic-tac-toe game in which players toss bean bags at targets in an attempt to change the targets to their desired letter – X or O. Fun, but substantially less dramatic and potentially traumatic than errant, giant darts aimed at your sister. Even as the 1970s waned, we were still drinking our soda pop out of returnable, capped bottles. Who will ever forget Mean Joe Green slamming that bottle of Coke in the tunnel at the stadium? That was 1979. A prime campground time-killer for kids was looking for empty bottles to return for refunds! 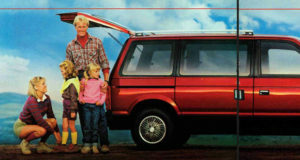 With the min-van and then SUV crazes still decades into the future, the cars of the 1970s were enormous. 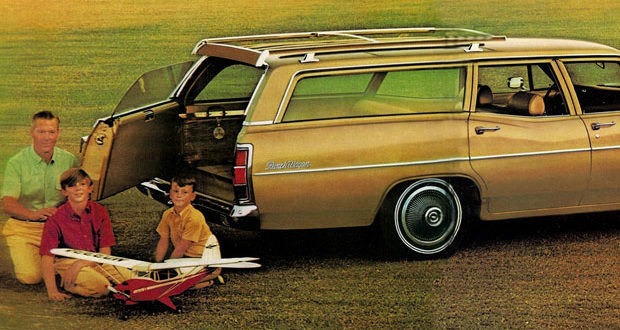 The trunks on many 4-door sedans were so cavernous, it was possible to haul a 10- or 12-foot rowboat in one just by sliding it in backwards and letting it hang back over the bumper. Some twine to tie down the trunk lid and a red bandana tied to the bow were added if the driver was really cautious … which most were not.